About half of all children with Down syndrome are born with a congenital heart defect. Most common are holes between the chambers which can range from mild to severe. Symptoms include heart failure, difficulty breathing and failure to thrive in the newborn period. Heart surgery is often recommended before the age of 5-6 months in order to prevent lung damage, though some babies have a difficult time putting on enough weight for the surgery because of the CHD. 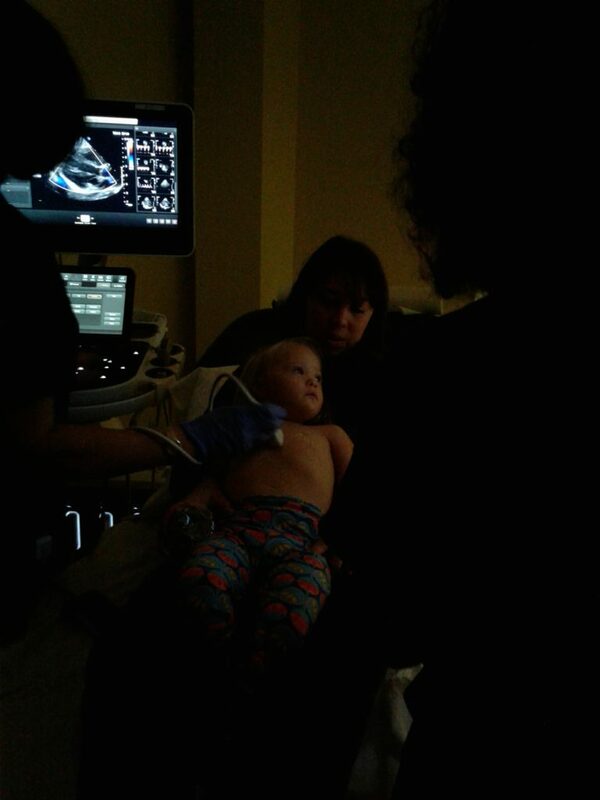 By all accounts it is the scariest experience in the world to hand your baby over for open heart surgery, especially when their heart is about the size of a walnut, but thankfully the procedure success rates hover around 99%. Um, no thanks! Because holding your toddler down for an echo is about as fun as wrestling an alligator! But it’s worth it because we are now cleared from cardio!! !